With a single glimpse the user is able to understand basic information of what’s happening within the service. Live data detailing the total number of service users. Live data of how many employees are currently on shift. A breakdown of service users on each unit. number of staff on duty in each department. The ratio between core and agency staff. A quick-view of the calendar. There are various different elements of patient care contained within the system. The system can be broken down as an EPR (Electronic Patient Record System). Within the EPR for Pandora are full patient files, which contain all records of a patient file required to meet CQC standards. This will eliminate the use of paper files within organisations and encourage the new ethos of many organisations to go “paperless.” Patients will have their own profiles replacing paper files where all information required will be accessible via desktop or tablet. 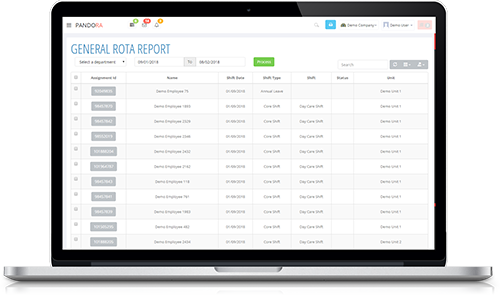 Rota Management within Pandora Care Management System is a key feature. This feature allows managers to produce and allocate both core and overtime shifts to ensure correct staffing levels on patient units. Overtime shifts are generated by the system based on staffing and observation levels provided by the organisation. Staff will have access to book their own shifts and managers will approve this to successfully add them to rotas. 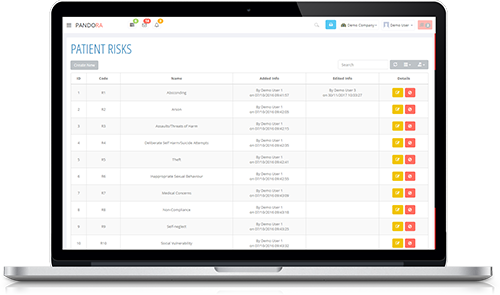 Incident reporting is key in any care organisation and we have developed an incident reporting system that generates the correct forms as and when you select an option. 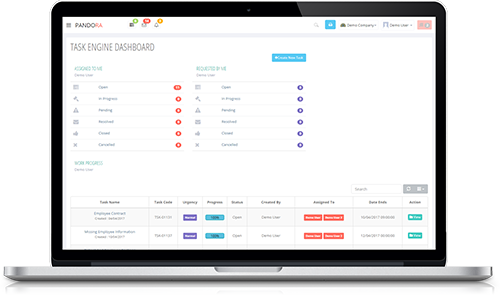 This incident reporting system prevents errors throughout the form improving the integrity of the data collected. Once incident reports are created this becomes visible via the incident reports list. The incident reports dashboard creates interesting reports to allow you to interrogate data. 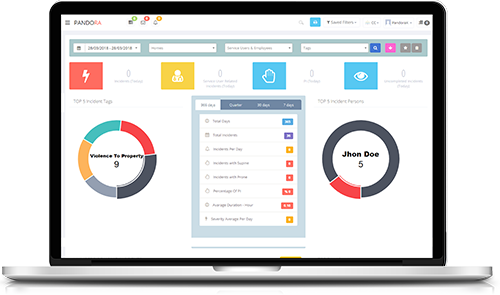 The HR system within the care management system provides each employee with a profile. 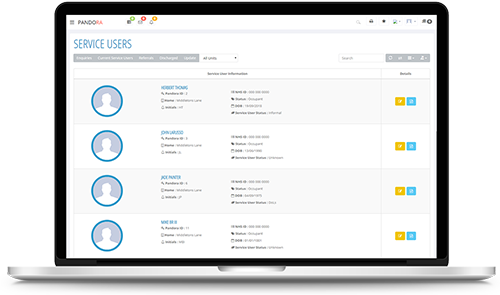 This profile contains integral information of all employees within the organisation and is visible via the employee list within the system. A platform that allows users to view reports on the amount of hours worked by all employees. The Finance Department are able to access a report of all staff and the hours they worked within the dates chosen. This can be downloaded and uploaded into Sage. The Finance Department are able to see a similar report of summarised authorised hours but for specific employees. 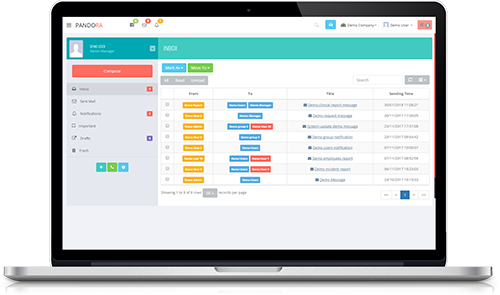 A platform that allows the user to organise themselves or other users quickly and effectively. A user is able to create a task for themselves or is able to search and choose any user they want to assign the task to. The user that creates the task is able to track and update the progress of the task. A communication platform which allows users to send internal emails to multiple users and groups. Able to send emails to multiple users and groups (e.g. Support Workers). Receive notifications from the Purchase Order System.